Deferred maintenance is one factor in rising high school budget this year. The regional high school district committee voted to certify a $21.2 million operating budget for fiscal year 2019 on Monday evening, an increase of 6.5 per cent over last year’s budget. 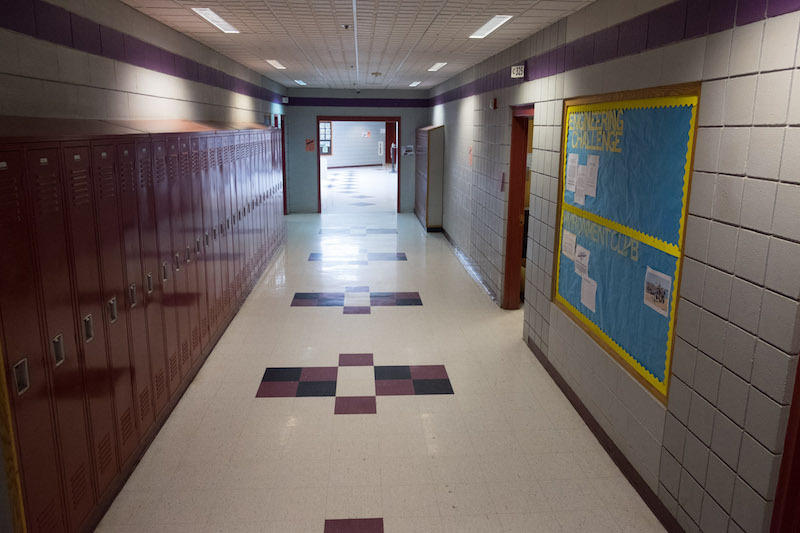 The increase is fueled by higher insurance costs, future obligations for employee retirement costs and a stepped-up schedule of maintenance for the high school campus, school officials said. The budget includes $2.4 million for employee medical insurance benefits, a fixed cost that amounts to an increase of $401,347, or 20.4 per cent, over last year. General liability, property and vehicle insurance also increased. Also in the fixed cost section of the budget is OPEB (Other Post Employment Benefits). The high school is behind in funding OPEB, health and other benefits for school employees who will retire in the future. The budget increases funding for OPEB by $350,000, to $838,783, an increase of 72.6 per cent. The total projected spending is $6.1 million. The instruction segment of the budget, which includes salaries for teachers and other high school staff, totals $10.8 million, an increase of 3.8 per cent. The operation and maintenance of plants section of the budget will see a 10.5 per cent year-to-year increase. The maintenance budget totals $2 million. That includes $390,794, an increase of $205,294, in long-term maintenance work such as flooring, siding, windows and building systems. The new budget also includes $107,500 for athletic field maintenance this year. The school budgeted no money for the line item last year. The segment of the budget which covers other school and community services for the high school, such as bus transportation, the school nurse, the school resource police officer and athletics, increased by to $1.5 million. Aquinnah, $317,843; Chilmark $809,054; Edgartown, $4.8 million; Oak Bluffs, $5.1 million; Tisbury, $4.6 million, West Tisbury, $2.8 million. With about 650 students that means it costs just under $33,000 per student. A classroom of 20 students is $650,000 per school year. I could pick this budget to pieces and some complaints / opinions / suggestions woud not be politically correct so please just mark me down as one that that is totally not happy about it one bit! It's rare that any school committee rejects or even pares down a school operating budget proposed by the School Administrators.. While MVY has the advantage of a large 2nd home population that do not need or use any of the Island schools but pay towards them via Property taxes, it might be time to delve into the presented figures/increases .. Not sure what "playing catch up on building maintenance" means .. Can we assume the buildings maintenance , although standard budget line item in previous budgets hasn't really been put towards that task?? For comparison's sake. Falmouth Academy charges $27,900 for tuition or 20% per student less than MVRHS.